The three exchange rate regimes adopted by Italy from 1883 up to the eve of World War I — the gold standard (1883–1893), floating rates (1894–1902), and “gold shadowing” (1903–1911)—produced a puzzling result: formal adherence to the gold standard ended in failure while shadowing the gold standard proved very successful. 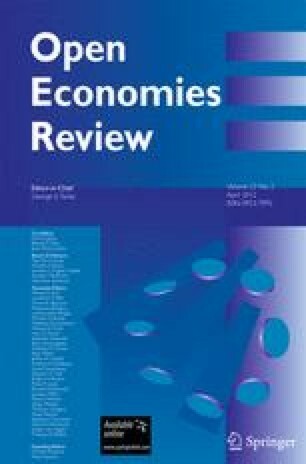 This paper discusses the main policies underlying Italy’s performance particularly focusing on the strategy of reserve accumulation. It presents a cointegration analysis identifying a distinct co-movement between exchange rate, reserves, and banknotes that holds over the three sub-periods of the sample. Given this long-run relationship, the different performance in each regime is explained by the diversity of policy measures, reflected in the different variables adjusting the system in the various regimes. Italy’s variegated experience during the gold standard provides a valuable lesson about current developments in the international scenario, showing the central role of fundamentals and consistent policies. The authors are grateful to Barry Eichengreen, Marc Flandreau, Franco Spinelli, two anonymous referees, and the editor of this journal for their comments on a previous version of the paper, to Sandra Natoli for superb research assistance. The usual disclaimer applies. Historical archive of the Bank of Italy, ASBI, Banca d’Italia, Studi. Pratt. N. 390. Fasc. 1, 1941.